The Loudbox Artist packs 120 watts of ultra-clean, bi-amplified acoustic power, and enhanced features into an incredibly lightweight and portable package. The Loudbox Artist features two versatile channels that can each accept an instrument or mic input. 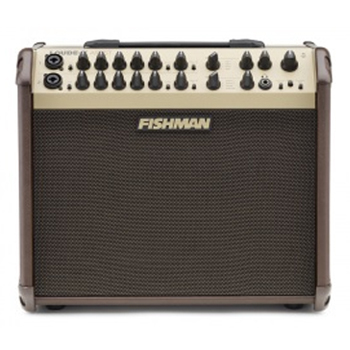 Fishman's legendary tone and feedback-fighting controls, plus a dual-effects section, make the Loudbox Artist a great choice for the seriously active musician.